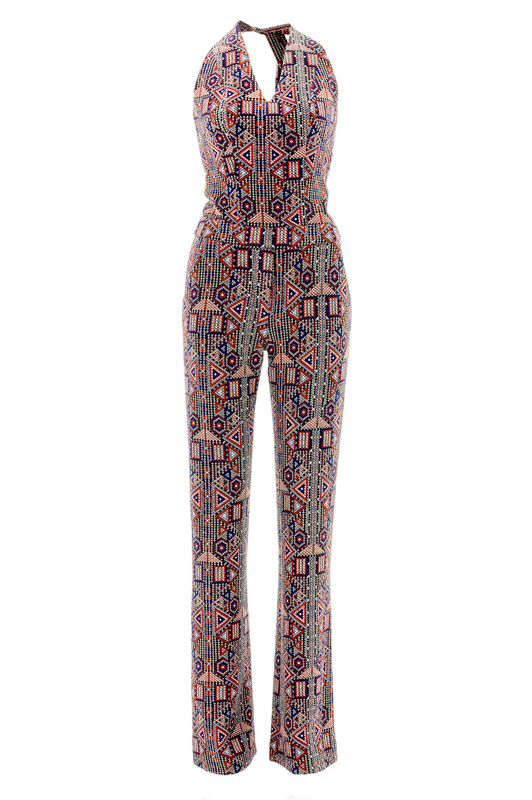 A very original trouser's jumpsuit in ethnic fabric embroidered with predominantly red colors. 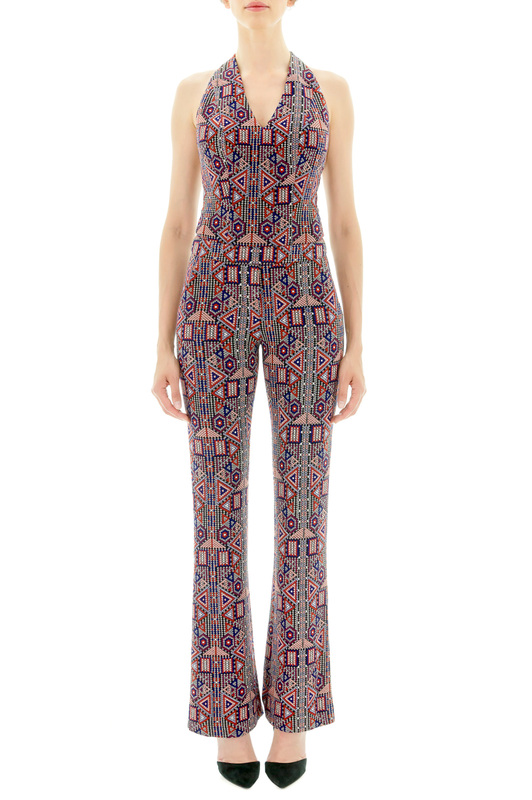 Its flared leg shape, back bare, tied in the neck and tightened at the waist will put your shapes in value. A superb alternative to the cocktail dress, accessorized with xxl pumps and mini wicker bag or stilettos and matching clutch. The fabric is slightly thick for a perfect fit. Stefanie Renoma, a timeless collection borrowed from the men's dressing room, largely feminized by its cuts worked in order to highlight your major assets.